I previously showed you guys what my "Suburban Country" style looked like, so I guess it's only right I show you the "urban cowgirl" that is me at times. I'm in love with this $10 straw cowboy hat I snagged from Walmart. Just in case you want one of your own, it was in the men's section. I always peruse the men's section in stores, and not just for hubs, but for myself. You never know what you may come across. Believe me, style knows no gender. Oh, and the dress and bag are from my beloved Forever 21. 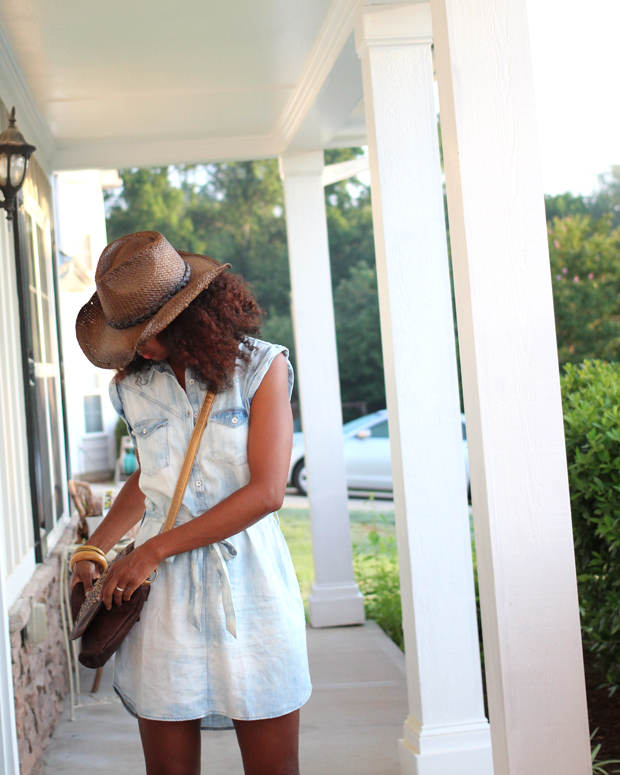 The bag you've seen before, but this cute bleached chambray shirt dress I got a few weeks ago (and it's still available!). In this post, I'm wearing it with a more country western style, but I've also worn it with a more "rocker" look, with black ankle boots, spiked jewelry, etc. It' is so versatile. The shoes are a bargain find from Urban Outfitters. I've had these for years now. 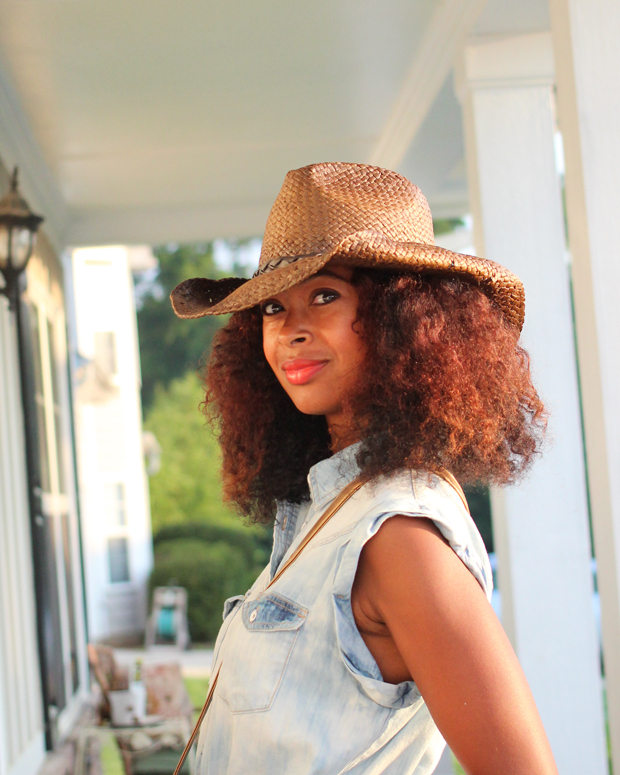 And that, my friends, is my "urban cowgirl" look! 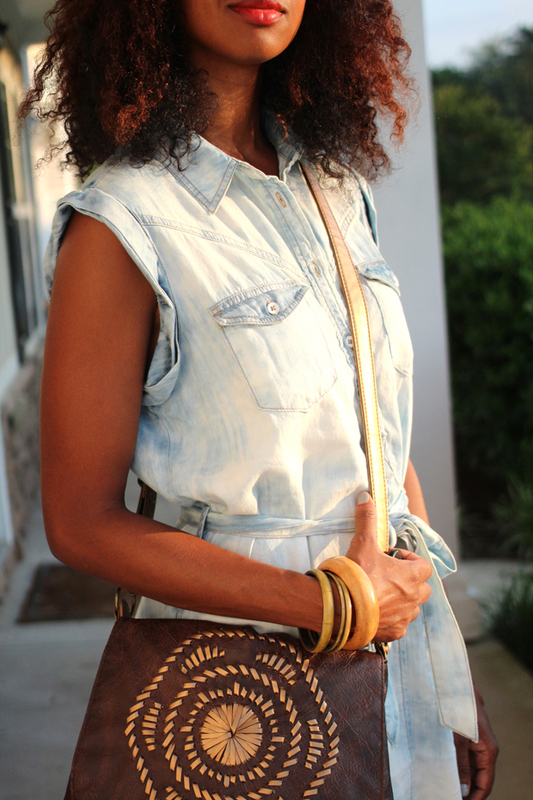 In LOVE with that chambray dress! SO FAB! You look great! 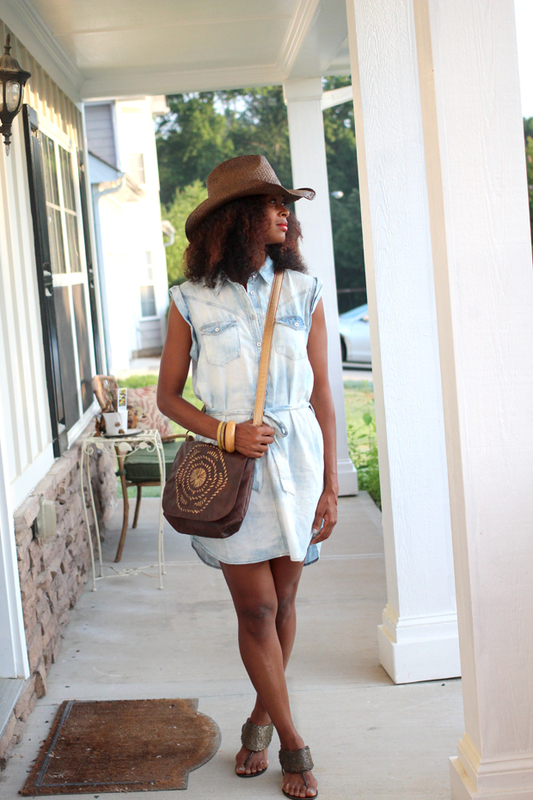 I'm loving that chambray shirt dress! Summer chic.